The memorial will be erected by the women's organising committee of the Official Labour Party. Mrs. McKell and Miss Stella Miles Franklin are patrons. 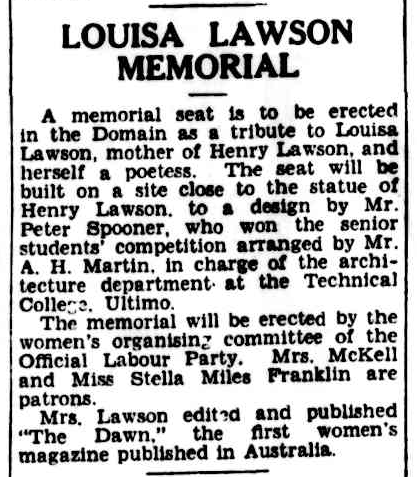 Mrs. Lawson edited and published "The Dawn," the first women's magazine published in Australia.